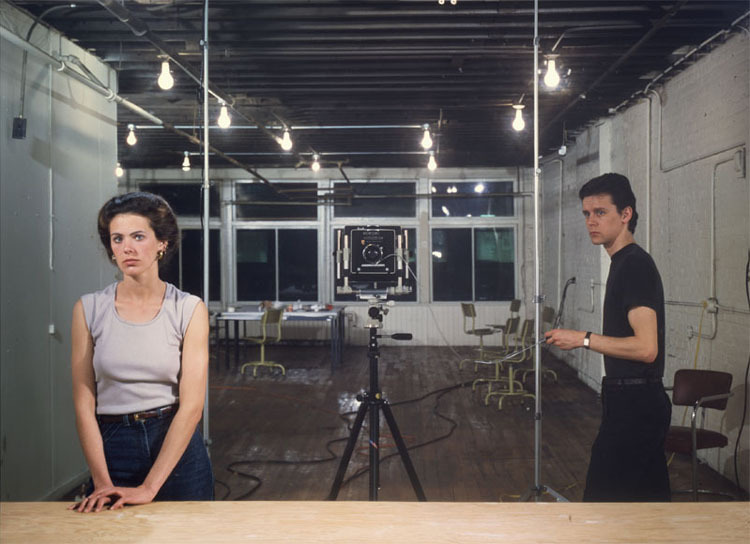 (Toronto) – Prefix Institute of Contemporary Art is pleased to present a symposium on the work of renowned Canadian photographic artist Jeff Wall. Titled The Man in the Mirror, the symposium provides an overview and analysis of the major tropes of the artist’s oeuvre as exemplified in his signature work Picture for Women (1979). Accordingly, the subjects addressed in the symposium encompass a broad spectrum, including the use of art-historical and literary references, the representation of women and the male gaze, and the contrast between extreme realism and elaborate artifice, among others. Programmed by Scott McLeod, The Man in the Mirror consists of two primary components. The first is a lecture presented by Dieter Roelstraete, past member of the curatorial team for Documenta 14 and current curator of the Neubauer Collegium for Culture and Society at the University of Chicago, and moderated by Sara Knelman, director of Jane Corkin Gallery in Toronto. The second is a round-table discussion that, in addition to Roelstraete and Knelman, features the participation of several local delegates, including Blake Fitzpatrick, chair of the School of Image Arts at Ryerson University; Will Kwan, associate professor at the University of Toronto; and Dot Tuer, professor of art history and humanities at OCAD University. These primary components are supplemented by introductory and concluding remarks by Scott McLeod, as well as opportunities for attendees to engage the delegates in Q&A and to participate in casual conversation during the associated receptions. The lecture, which is also programmed in conjunction with the Urban Field Speakers Series, will take place on Thursday, January 24, 2019, at 7 PM, while the round-table discussion will take place on Saturday, January 26, 2019, at 2 PM. Both events will be held at Prefix Institute of Contemporary Art, 401 Richmond Street West, Suite 124, Toronto. Admission to the symposium is free for passholders to the Urban Field Speakers Series. Single tickets to the lecture, which also allows free admission to the round-table discussion, are available for $14; special single tickets, discounted for students, seniors and Prefix Photo subscribers, are available for $9. Single tickets to the round-table discussion are available for $5. Passes to the Urban Field Speakers Series are available in advance or at the door. Please note that single tickets to the lecture or round-table discussion are not available for advance purchase and are only sold at the door. Single tickets ticket sales begin thirty minutes in advance of the event.